There are many scholarships available, and most of them does not require you to prove you’re the most academically gifted person on earth or a genius. But they are incredibly competitive. So how do you make sure you get the scholarship or bursary you deserve or wish for? Sometimes you have everything you think you needed to win a scholarship but it doesn’t just come your way. Winning a scholarship not just only depend on your academic vibrancy. Scholarship programs organizers do not test brilliancy but intelligence, they believe anybody can be brilliant but anyone that is intelligent must be brilliant. So you just find out that after your sleepless nights on a scholarship exam you do not make the prize mark. Disgusting? Sometimes ago, in an MTN foundation scholarship, two weeks after receiving the entry of students, they sent a mail to the entrants, to write an essay on how Technology can help the Nation’s situation. Many brilliant student couldn’t make the mark because that intelligence – which I can call the outright application of brilliancy. So I will highlight some you need to do, to increase the chance of winning your next scholarship. What do I mean by this? For you to have a chance of applying for any scholarship, there are some basic requirement that must be fulfilled. Like “you must be an undergraduate, you must have a CGPA of 3.0” and the likes, also age bracket. When all this are obeyed, then you are a step into winning that scholarship. Luck, they say is when preparation meets with opportunity. The first thing must do is to prepare for opportunities you hope for. You first start searching for opportunity but when you’re prepared, opportunity will locate you. Search for scholarship related materials online, past questions and the likes, exploit them. Passion is the soul of all business. Do just do or apply for scholarship exams because you need the Money, but do it because you need to. Know that you are in for it, be ready for the task, stress, night reading. Burn the candle and feed your passion. Being positioned means bean at a place where opportunity can locate you. Mingle with friends with like dreams, consult people whom have threaded the same part. Get needed knowledge for every scholarship. 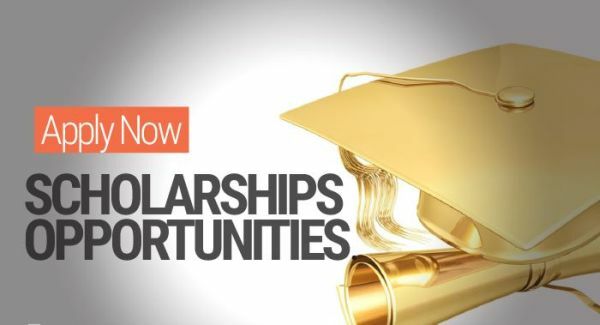 Subscribe for update on scholarships on several related websites and platforms. You know, it takes time. But “it’s free money!” Check all the scholarships you are eligible for. Double-check you have all the right documents to prove your case, and get someone read over your supporting essay or letter. It’s always good to get another point of view. Don’t depend only on youself, no matter how brilliant you’re. If the application requires a letter or essay explaining why you deserve the scholarship, don’t be shy. List all your relevant achievements – not just academic results but also community. Believe you can win it, don’t doubt sin​​ce loosing will not affect you in any way. As I said earlier, what scholarship organizers wants to test is your intelligence not your idea of physics or government. So any riddle question you can lay your hand on, do well to solve them. I was once to attend a scholarship exam, on my way, I bought a magazine, Imin which I saw a riddle at the back page but u shunned it. It was pathetic when I got to the exam hall, that was the only question in the exam paper. I failed!!! Visit websites which specializes in scholarship often, to know if there is any available scholarship and for updates on scholarship you applied for, or intend to apply for. If you can do all this, nothing will be able to stop you in your march to scholarship glory. For questions and clarity drop a comment in the COMMENT BOX.